If you are looking for a tower fan comparison you have come to the right place. In this is the page we compare all the results from our personally tested tower fans. This page will give you tangible, real world tested information in order to give you a better idea how well each of these fans perform. Why would we do this? To save you time and money, to provide you honest and unbiased reviews…and to make selecting a tower fan less difficult. Chances are you’re struggling to choose the tower for your home and plowing through one site after another trying to find answers to your questions. We hope you’ll find those answers here (and if you don’t, just ask). To us, it’s not enough that a tower fan performs well. We want to get into the nitty gritty details of how the little things might affect you. We try and test as many fans as we can and personally test the product. While you can find opinions about almost any tower fan online (shopping websites, blogs, consumer research websites) the fact that we have used and tested multiple products, different brands, and products with various different features gives us the unique ability to truly compare and contrast every tower fan we test. It’s not enough to us that a tower fan performs well. We want to help you understand whether or not a certain feature is necessary, whether a higher priced tower fan is worth the extra money, whether or not a tower fan will do what YOU need it to do and – best of all – if one really does do a better job than another. 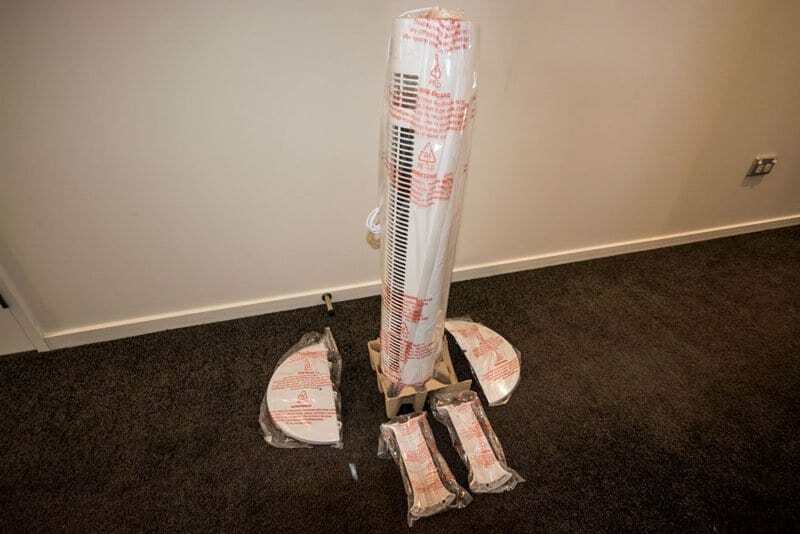 You’ll see in each of our tower fan reviews that we have physically tested there are 3 key areas which are most important to most consumers decision in buying a tower fan. Noise, airflow, and power usage. Nearly all other tower fan review sites cannot give you this information let alone give you multiple tower fans to compare. So how do we test? We use what’s called an anemometer to measure the airflow of the fan. 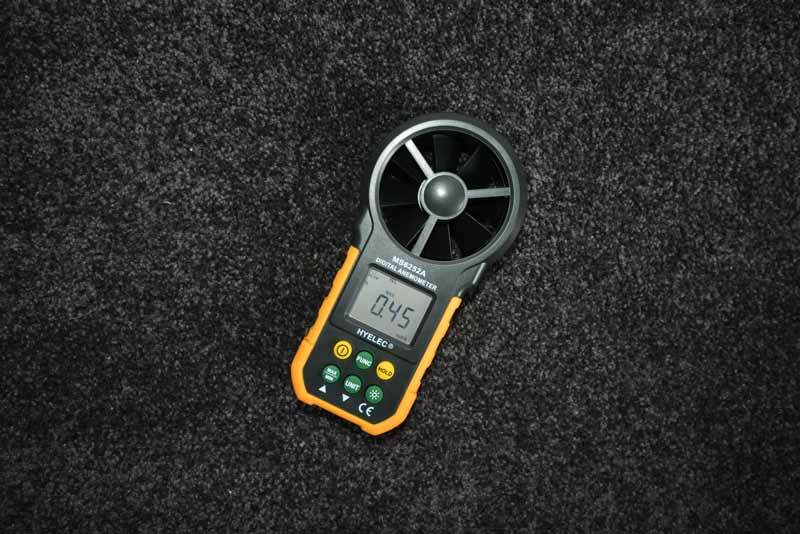 We measure the lowest, middle and highest settings the fans have to off anemometer to record the MAXIMUM recorded speed on that setting after testing for 2 minutes per speed. We record the windspeed at 30cms from the exterior of the fan. A really big factor in purchasing a tower fan is the noise it makes. On almost all tower fan reviews you read you can have one purchaser saying how loud a fan is, and another saying how quiet it is. You have absolutely no frame of reference to help you decipher whether or not the tower fan is loud or not. Luckily, we give you a frame of reference by comparing the fans we have tested with each other, so you can see how loud they are in comparison. 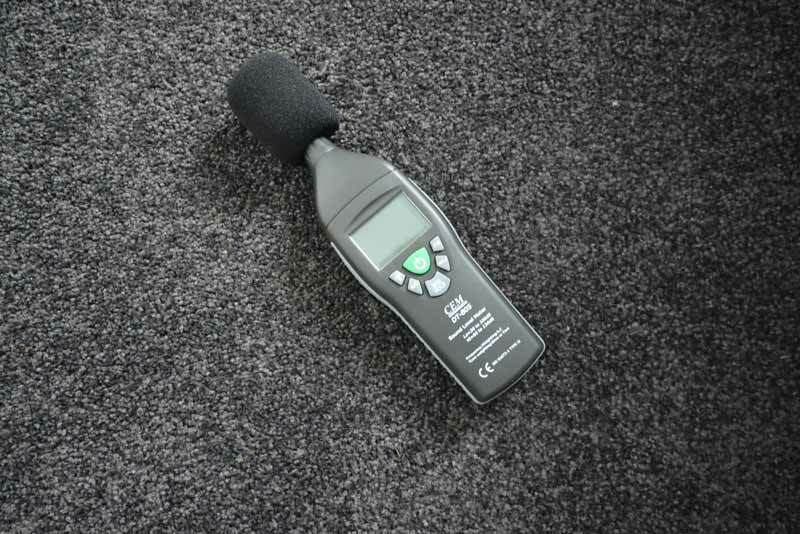 For our tower fan reviews we use a sound level meter to measure the sounds each fan produces on its lowest, middle and highest settings. We graph these for each fan so you can compare the sound it makes yourself to other everyday sounds or to the other fans we have tested. We take the readings 30cm above the top of each fan. Below are the tower fan reviews where we have physically tested the products. 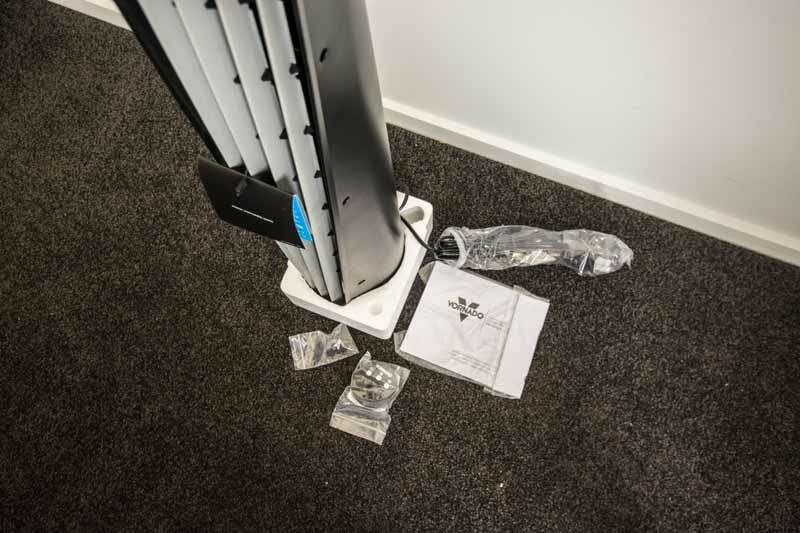 What is important to note about our tower fan reviews is that whenever we review a new fan we re-test all our fans in order to keep all the measuring parameters as much the same as possible and give you the most accurate reviews and comparisons available. First we will start with arguably the most important factor in choosing a tower fan. The airflow. As you can see in the graph above we have physically tested the Vornado 143, the Lasko 4443 Hybrid and the Honeywell HYF013. As you can see above there is a very clear winning in terms of the airspeed the fans are blowing. It is important to note that while a fan may blow a lot more air, there are many factors that contribute to a fan being good, so be sure to read the full reviews to find out the pros and cons. The Lasko 4443 blows the most air on the lowest, middle AND highest settings. What we think the next most important factor in purchasing a tower fan is how much noise it makes. For some people the need for a quiet tower fan is highly important, especially for those that use their fan at night while sleeping. So how did our tower fans rate compared to each other? As you can see above, the Vornado 143 was the most quiet fan on 2 of the three settings, with the Honeywell HYF013 being the second most quiet fan. The Lasko 4443 is far and above the noisiest fan, so although it blow the most air by far, it is somewhat of a trade-off for the amount of extra noise it makes. The Vornado 143 is the quietest fan on the middle and highest settings. What is the overall best tower fan we have tested so far? If we take both the noise and airflow categories into account we believe the overall best fan we have tested so far is the Honeywell HYF013. Its airflow is second to the Lasko Hybrid, however not by much. It is however much quieter than the Lasko and even quieter on its lowest speed than the Vornado. So , in essence, his fan has the most airflow for the least amount of noise.